Production of charcoal from greenhouse vegetable waste, thus avoiding the treatment of OGW as waste. The solution focuses on the use of the material as a raw material, suitable for the production of a solid biofuel. All this, aligned with the principles of Circular Economy and with the European, state and regional legislation. Preparation and pre-conditioning of the OGW to transform it into a biomass with the physical characteristics and properties required to feed the carbonization process. In this phase a basic physical process of conditioning the material consisting of a reduction in size by grinding or cutting is carried out. Process of carbonization of biomass of greenhouse vegetable waste (OGW) in a high temperature furnace (700 – 750 ºC approx.) In the absence of oxygen, resulting in the production of charcoal and a gas with a high calorific value. The technology used for the process is tested and scaled to industrial level. Post conditioning of coal: After cooling, the coal is led to a density separator by air that allows the removal of stones and other materials. Briquetted: process of pressing and compacting to increase density and form briquettes generally of cylindrical format. The percentage of waste to landfill prevented is 95%. Comprehensive and global solution to overcome the difficulties (technical, environmental and economic) presented by the current management of OGW. Unique opportunity to value and take full advantage of the potential of OGW as a raw material suitable for obtaining a final product (coal), which has a commercial outlet in the European market and is 100% marketable. The obtained bio-carbon solves the problems of the present solid biofuels, as its combustion is “CO2-neutral”. Exportable solution to other places that face the same management problem with OGW. Creation of industrial activity in the region. Creation of employment and wealth in the region: It is estimated that the operation of the carbonization plant will result in the creation of 7 direct jobs (to which should be added those associated with the construction phase). In addition, consideration should be given to the indirect jobs that will be generated as a result of RVI and coal transportation and logistics activities, complementary to the proposed production plant. The new jobs that will be demanded as a result of the project will be skilled jobs, as opposed to the situation usually found in the case of the agricultural sector, where no qualified profiles are required. The main cause of this increased need for staff qualification is the technological and industrial component of the project. Legal framework of waste, by-products and the end of waste (EoW) status. 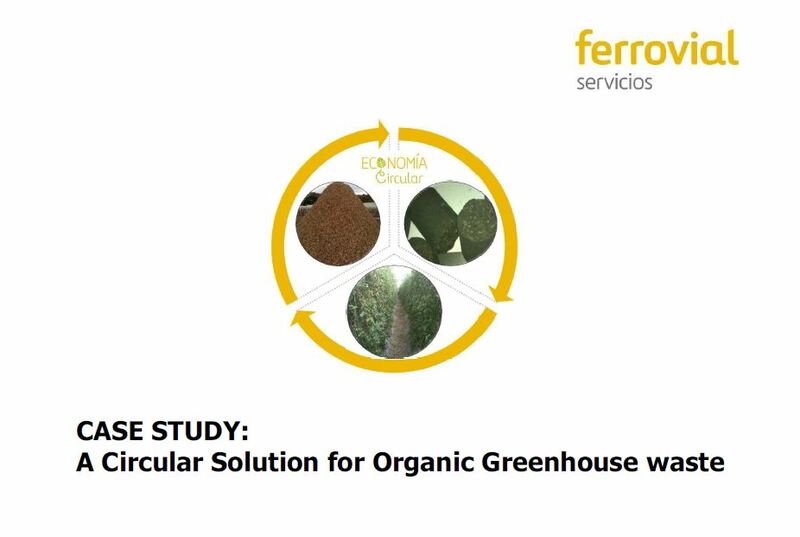 One of the main challenges of the project is the consideration of the OGWs of entering the process as an agricultural material, suitable for the production of a biofuel and not as waste. Administrative agility and speed in the processing of permits and authorizations of the project in a timely manner. Coordination, communication and agreement between the different administrations/ Governments involved to avoid distortions and overlaps. There is no guarantee of the receipt of OGW entries in the quantity and quality required for the process (it is a market risk in the supply of raw material). Although the amount of RVI available in the region largely covers the needs of the project, the ownership and the management of greenhouse vegetable waste is the responsibility of the farmers and there are different intermediaries in the chain (transporters, etc.). The OGWs are often abandoned in the fields by farmers, burned or used for cattle feed, etc. It generates uncertainty and an important risk to be considered for the development of the project.